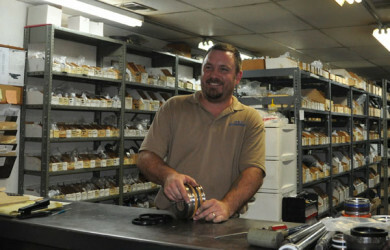 R & N Hydraulics, located in Bryant, AR, has thousands of hydraulic seal kits in stock. We can ship hydraulic seal kits direct from our location, and walk-ins are welcome. 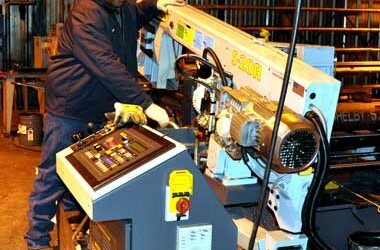 R & N also repairs hydraulic cylinders and systems as well as design and manufacture custom hydraulic systems. We invite you to get started by calling 501-847-2816 or use the form on this page. Hydraulic cylinder seals fail for a number of reasons, from just being worn out to bad specs and misuse. Regular leakage can be caused by a range of issues, the most common of which on new cylinders is incorrect fitting of the hydraulic seals. An unfortunately common mistake when ordering hydraulic seal kits for replacing seals is using measurements from the old seals. There are a number of reasons why this is not the way to go. Man’s unyielding desire to get the job done using his own two hands applies to just about everything –- including hydraulic seal installation, which is not typically an easy task for beginners. While R & N Hydraulics has an excellent team of professionals to replace your hydraulic cylinder seals, they also have thousands of kits for hydraulic cylinder seals in stock, including 1.5″ and larger hydraulic seals. If there ever was a time to work smarter not harder, it’s now. And that’s what large bore hydraulics do for us every day. 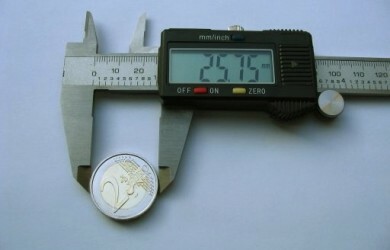 But maintenance can be demanding so equipment owners feel pressured to buy cheap hydraulic parts from some nameless, faceless internet wholesaler to keep repair costs down. Don’t sabotage yourself. Get your parts – 1.5″ hydraulic seals and larger – from R & N Hydraulics. Here are a few examples of parts we conveniently stock and equipment we frequently service. Replacing hydraulic seals in your own equipment is one way to save time and money on routine maintenance. But, it only works if you can get high quality parts when you need them — not two weeks later. 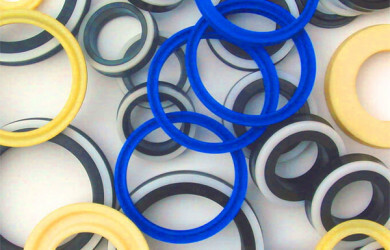 R & N Hydraulics has the best inventory of hydraulic seal kits in Arkansas. When you’re ready to take care of that maintenance or simple cylinder repair, we’re ready too, with the right seal for your equipment. Have you ever searched for a specific hydraulic cylinder seal to fix your equipment? And, when you finally find it, it’s outrageously overpriced. Or you need to fill out a credit app and wait on someone to call you back. Or worst of all –- you have to pony up your credit card number to a company that doesn’t even have a phone number on their website to call and verify they’re not halfway across the world or a complete sham. How hard does it have to be to get back to work? It’s easy when you call R & N Hydraulics. R&N always does a great job, very efficient, and always friendly. We would recommend R&N for Hydraulic Repair.